Ananké Media Systems announces the release of the 3.1 update for PhotoStage Pro and PhotoSpin Pro. This update introduces the ability to link multiple backdrops to a single control box (PhotoStage Pro) or control sphere (PhotoSpin Pro). You can now position several PhotoStage Pro backdrops side by side and sync them together to create a more extensive canvas. 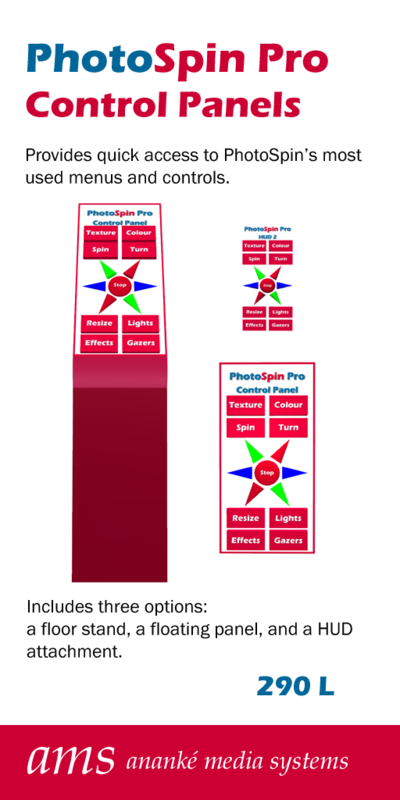 Or rez several PhotoSpin Pro backdrops to create eye-catching displays. 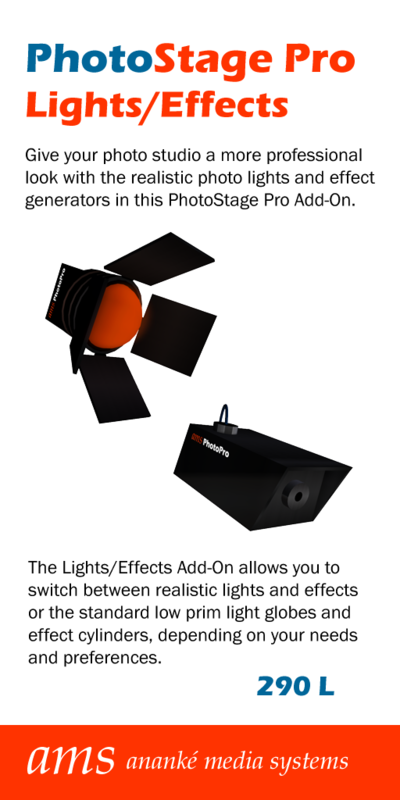 Yet more innovations that make PhotoStage Pro and PhotoSpin Pro truly exceptional and versatile photographic systems. To purchase, visit Ananké Media Systems inworld or the SL Marketplace. 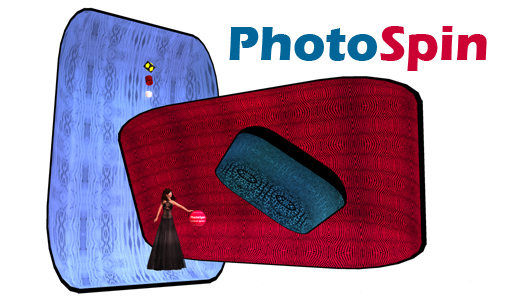 Ananké Media Systems proudly introduces a new generation of photo studios: PhotoSpin Pro and PhotoStage Pro. 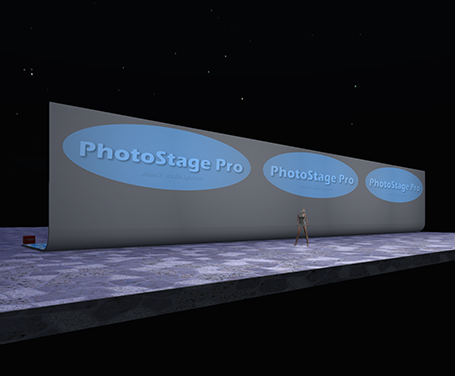 Designed for serious virtual photography, PhotoSpin Pro and PhotoStage Pro provide unique features such as visual texture display, green screen, and backdrop restore. Unequaled by any other photographic system on the grid, PhotoSpin Pro and PhotoStage Pro give you the tools to focus on what matters: your photograph. To preview or purchase, please visit the Ananké Media store in Lady Vale. Ananke Media Systems is pleased to announce the release of PhotoPro, a new line of premier photographic tools designed to work as add-ons to PhotoLite, PhotoStage and PhotoSpin. Want to give your AMS photo system a more professional appearance? Grab PhotoPro Lights/Effects and rez a set of realistic looking photographic lamps and effect generators. These carefully detailed and fully functional instruments are offered as an add-on to PhotoLite, PhotoSpin and PhotoStage. 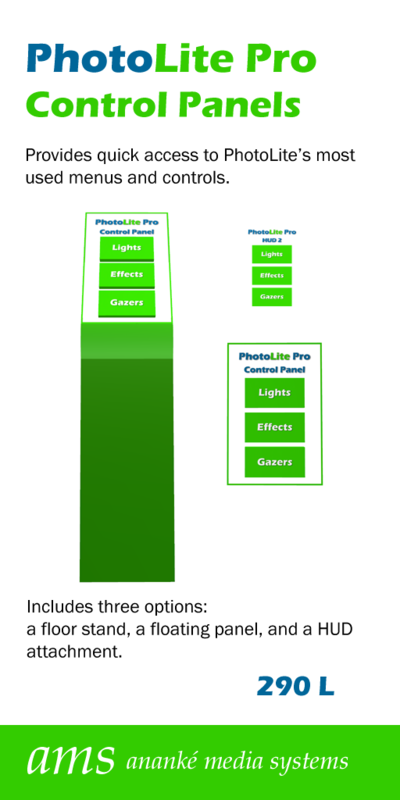 The sophisticated scripting of the PhotoPro Lights/Effects also allows you to switch between the original low prim set of lights and generators or the higher prim, detailed set. Now you can have the best of both worlds! 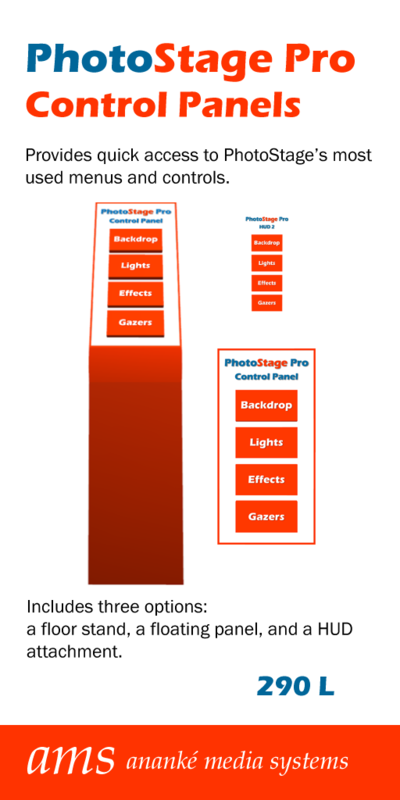 These nifty panels give you quick access to all the key menus and controls for your AMS photo system. A simple but powerful tool, the PhotoPro Control Panels come with three options for maximum versatility: a floor stand, a floating panel, and a HUD attachment. Designed by Serenity Mercier, and scripted by Desdemona Enfield, one of the most advanced scripters in Second Life (co-creator with Douglas Story of Ripple, Dynafleur and StormEye). Ananke Media Systems is dedicated to creating powerful photo systems and tools for serious SL photography. Drop by the AMS Store @ Smaug (Smaug 220,232, 33) today to check out the new PhotoPro line, as well as the exceptional photo systems, PhotoLite, PhotoStage and PhotoSpin. Some customers may have encountered a problem with the 1.2.1 version of PhotoStand II, in which the stand will continue to generate menus even after you’ve closed them. This problem was fixed in later updates to the PhotoStand II. If you’re a PhotoStand II Pro user, please update to the most recent version (1.2.3). Send me a notecard inworld to arrange for an update, and please include your full SL name in the card. 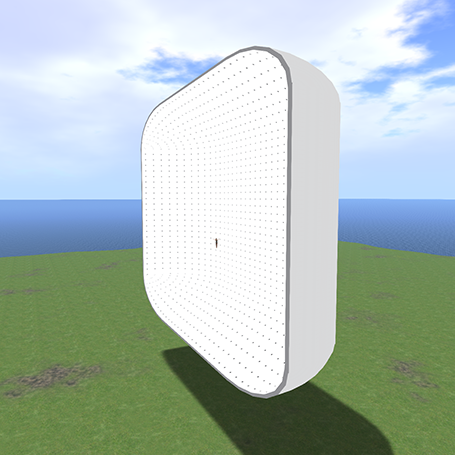 If you are a PhotoStand II Basic user, please just drop by AMS @ Lady Vale (Lady Vale 112, 240, 301) or AMS @ Smaug (Smaug 220,232, 33) to pick up the latest free version of PhotoStand II Basic. Please accept our apologies for any inconvenience caused by this problem. Now Available at the new AMS PhotoSpin store! Ananke Media Systems introduces PhotoSpin. 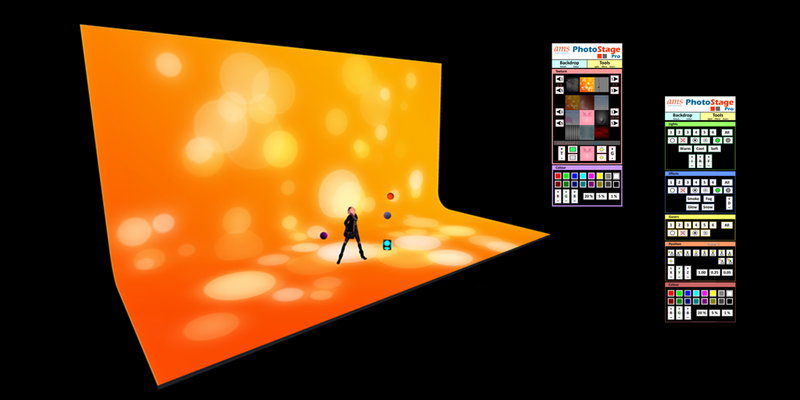 Using a backdrop you can resize to virtually any dimension, and rotate on any of the XYZ axes, PhotoSpin reinvents studio photography in Second LifeTM. Offering unparalleled versatility and functionality, PhotoSpin marks a revolutionary advance in Second LifeTM studio photography. To try out a demo model of PhotoSpin, or purchase one of your own, visit the new AMS PhotoSpin store in Smaug (220, 232, 33), right next door to LionSkins. 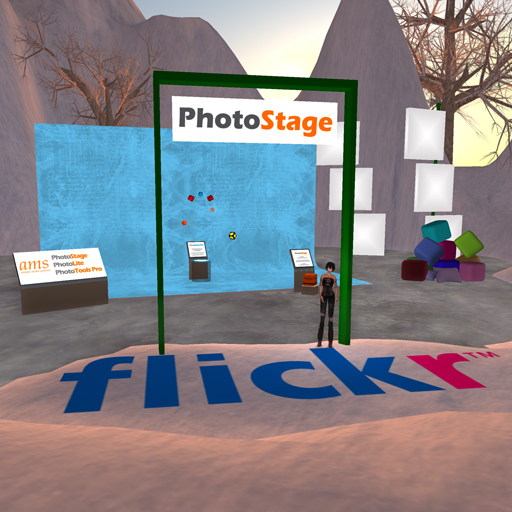 PhotoStage will be one of the grand prizes in the Flickr Photo Contest for SL FootWear Expo 2009. Anyone may enter the Flickr Photo Contest, with as many pictures as they like, wearing any shoes that they like. To be eligible, shoes must be the focus of photo, and the image should reflect the Footwear Expo’s overall theme of Winter Wonderland. You can find all the DETAILS HERE ! Get ready to stuff your stockings with shoes, shoes and more shoes! This year’s Expo is the biggest shoe fair ever, with two full sims featuring all the best shoe designers in SL, plus much more. The Footwear Expo gets underway at 10 am slt on November 22, and runs through to December 6.